In sitting down to compile our annual report this year we struggled to compartmentalize 2017 and 2018, for one country and one hazard directly connect the two. The area around the Bangladesh port city of Cox’s Bazar gets some of the most intense rainfall in the South Asian monsoon. Getting on for a million people in the camps there are in grave danger, even just from the usual seasonal extreme-weather that may be getting more volatile in a changing climate. Globally, too, unusually intense rainfall was among the most dangerous climate impacts of the year, reflecting the fact that 2017 was one of the three warmest on record (and the warmest ever without El Niño), helping to make 2013–17 the warmest five-year period since records began. Lethal Atlantic Hurricanes Harvey, Irma and Maria also confronted us with massive economic losses of US$ 95 billion, US$ 80.7 billion, and US$ 69.7 billion respectively, with some vulnerable islands in the Caribbean almost entirely flattened and the poorest people suffering most. Rising sea-levels contribute to rising risks, but in the case of Harvey our World Weather Attribution analysis also demonstrated that the likelihood of extreme rainfall, responsible for the devastating floods in Houston, had tripled due to climate change. And so 2017 offers another reminder, were one necessary, of the aptness and timeliness of our work linking science, policy and practice. 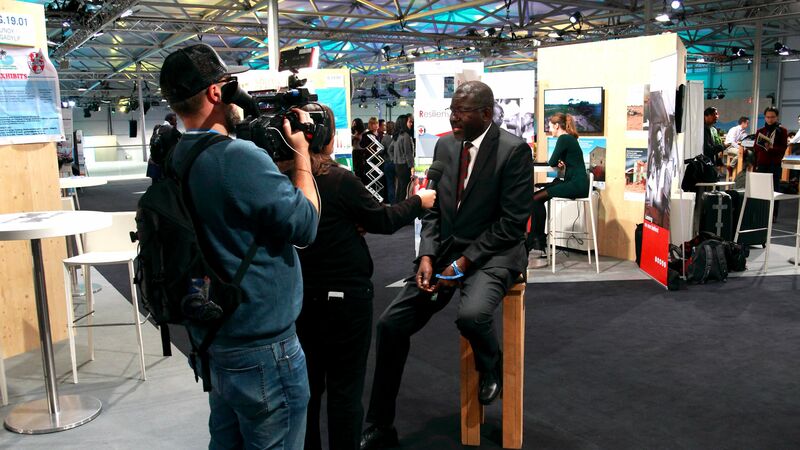 IFRC Secretary General Elhadj As Sy now describes climate change as “a key driver of risk” in the modern world, saying the role of the Red Cross Red Crescent in helping the most vulnerable people affected by climate impacts will become still more pivotal. 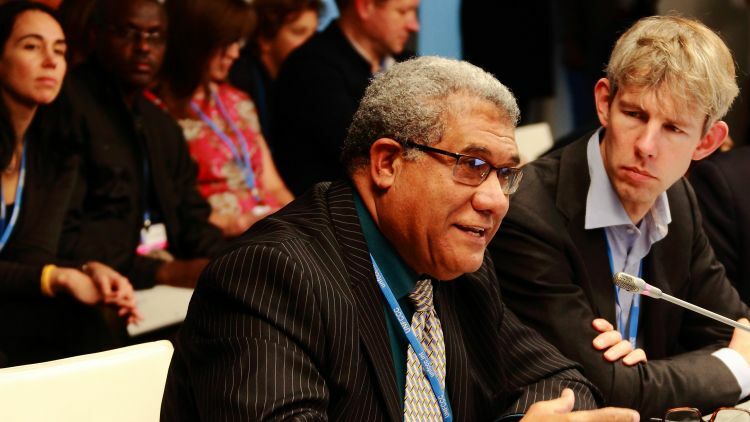 We fully agree, and so it was gratifying for us to be able to assist with writing, and at COP 23 in Bonn launching, the IFRC’s new Framework for Climate Action Toward 2020. A key component, forecast-based financing (FbF), expanded rapidly in 2017, enabling systematic early-action ahead of the more volatile climate extremes. On cue, our collaboration with the ICRC expanded in 2017. Here then is our road map for the next couple of years: moving the agenda from knowledge to action – from the ongoing global effort to achieve the goals of the Paris Agreement to safeguarding people in the camps around Cox’s Bazar, and in similar vulnerable contexts all around the world. The year 2017 saw growing momentum to deliver on the ambitions of the Paris Agreement, with states, mayors and private corporations all expressing their commitment to work together towards achieving the Paris goals. 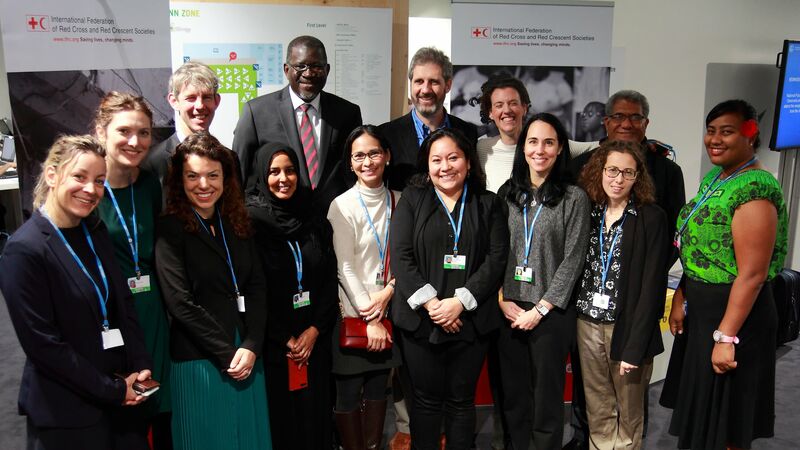 The IFRC and its Climate Centre, too, articulated our own commitment in the IFRC Framework for Climate Action towards 2020, developed with input from nearly 50 National Societies and launched at COP 23. Our external engagements sought to ensure balanced attention to adaptation and mitigation, a continued focus on the most vulnerable people affected by climate impacts, and greater linkages with the international agenda. 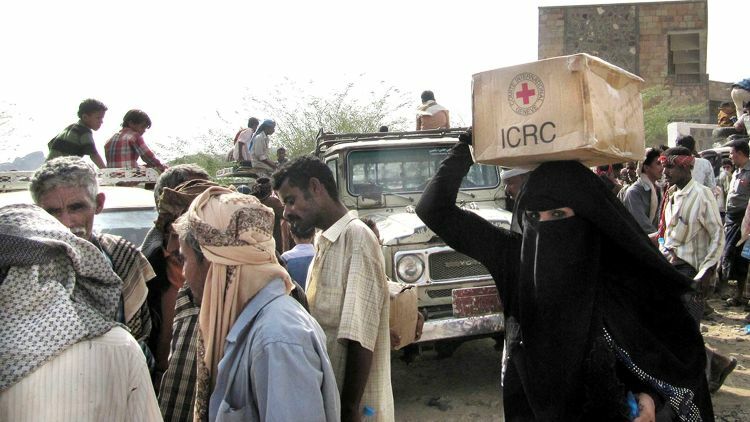 This was achieved both through engagement with the UN process and high-level representation at major international events, including the General Assembly where IFRC Secretary General Elhadj As Sy emphasized building the resilience of communities, supporting local actors, and promoting a more flexible humanitarian system through, for example, forecast-based financing (FbF). All this was reinforced at the Red Cross and Red Crescent Statutory Meetings in Antalya, Turkey, where National Societies flagged climate change as a priority in the lead-up to Strategy 2030 and the next International Conference, pledging to take the lead on climate resilience in engagement with governments. The IFRC delegation at COP 23 was led by Climate Centre Director Maarten van Aalst and the talks were visited by the IFRC Secretary General, who spoke on community resilience – a key theme for the first time at a COP meeting – at several round tables jointly organized by the IFRC. 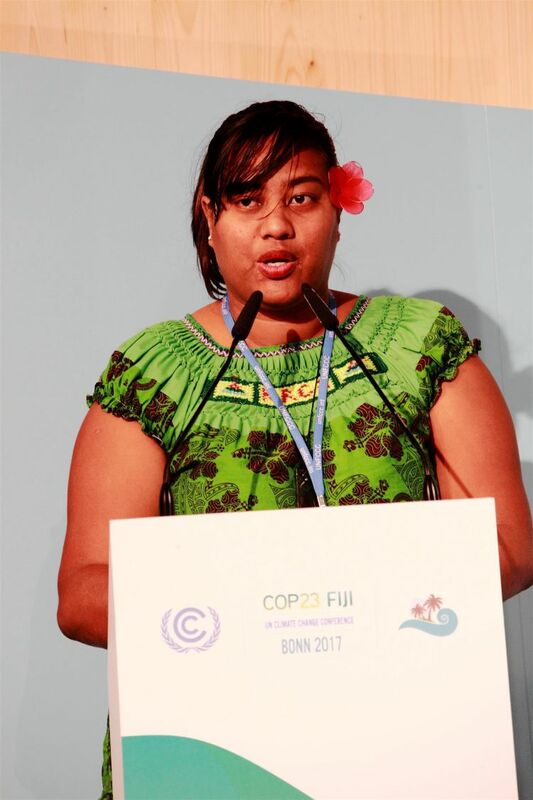 An acknowledged Red Cross Red Crescent highlight in Bonn was the presence of the Kiribati Red Cross volunteer, Esther Nabuti, who was introduced by Mr Sy at one of the high-level sessions which she closed by reading her poem My Beloved Island (photo, right). Our lead role in the organization of Development and Climate Days (D&C Days) ensured a dynamic and well-attended event that brought together at least 450 participants for the middle weekend of the two-week COP. D&C Days has now become a recognized part of the COP process that links development, humanitarian and climate spheres to ask big questions, seek big answers, and work collectively on fair solutions. As part of its continuing engagement with the Intergovernmental Panel on Climate Change (IPCC) and the build-up to its next assessment of the global climate – its sixth, known as ‘AR6’ – the Climate Centre initiated a major conference in Nairobi on climate risk management and invited the IPCC to jointly host it. This International Conference on Climate Risk Management was hosted by the Kenya Red Cross (KRC) and focused especially on “the most vulnerable human and natural systems”, according to the invitation sent out together with the IPCC. The conference gathered scientists from at least 35 countries, including both co-chairs of the IPCC’s Working Group II on impacts and adaptation: Dr Debra Roberts of South Africa (at left in photo) and Dr Hans-Otto Pörtner of Germany, and generated recommendations for AR6 covering risk, timelines and priorities. The Climate Centre supported travel and accommodation for participants from developing countries. Dr Roberts said the conference represented “an important contribution to improving our understanding of risk and vulnerability across scales, contexts and sectors, and of how that knowledge could inform the identification of resilient and sustainable responses”. Alongside the conference, at the KRC’s Boma Centre, a high-level event at the University of Nairobi unpacked adaptation issues for AR6 of particular importance to developing countries. The following month a further scoping meeting in Addis Ababa of some 200 experts from 60 countries, also attended by Dr Van Aalst, drafted an actual outline for AR6 and was described as “a decisive step to advance the work plan of the IPCC” by its chair, Hoesung Lee. Partners for Resilience (PfR) is linking international policy dialogues with national and local policy and practice in the ten countries where we work. In addition PfR seeks to empower civil society organizations and vulnerable groups to lobby and advocate for their needs. PfR influenced various global resilience agendas where we prioritized the Paris Agreement through engagement at COP 23, expert meetings on adaptation (TEM-A), the Warsaw International Mechanism on Loss and Damage, and D&C Days. We work to bring local voices and coherence to dialogues on implementing the Sendai, Sustainable Development Goals, and urban agendas through, last year for example, the Global Platform for Disaster Risk Reduction (DRR) in Cancun and the regional platform for the Americas in Montreal. Among other global-level highlights was our collaboration with the resilience group in the run up to COP 23 with whom we designed three high-level round tables. 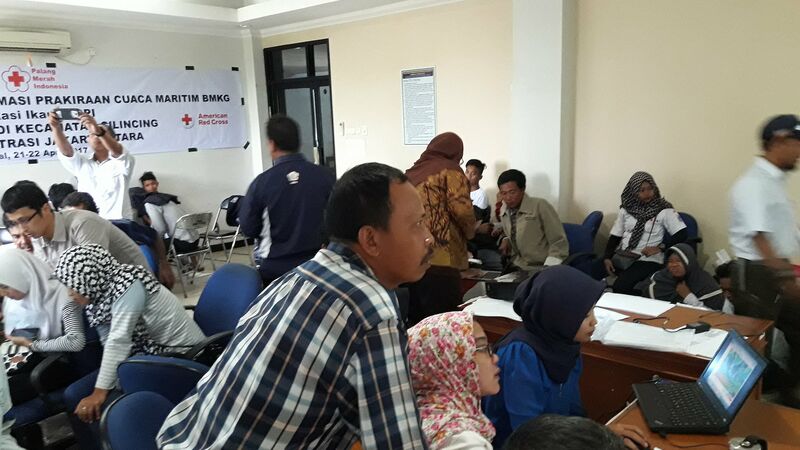 In Indonesia, among country highlights, training workshops were conducted for fishermen (photo) to build their skills in accessing and interpreting weather forecasts and information about waves and fishing grounds using smartphones. The Indonesian Agency for Meteorology, Climatology and Geophysics and the US-supported APIK programme are now adopting the approach. The Kenya Red Cross, with PfR encouragement, is now recognized by its government as a key partner in deploying climate finance to support vulnerable communities. In Ethiopia, PfR is supporting the National Meteorological Agency with the organization of up to three seasonal conferences a year, with a variety of government departments, enabling in-depth discussions of climate advisories, warnings, and early action to help people prepare for seasonal changes. 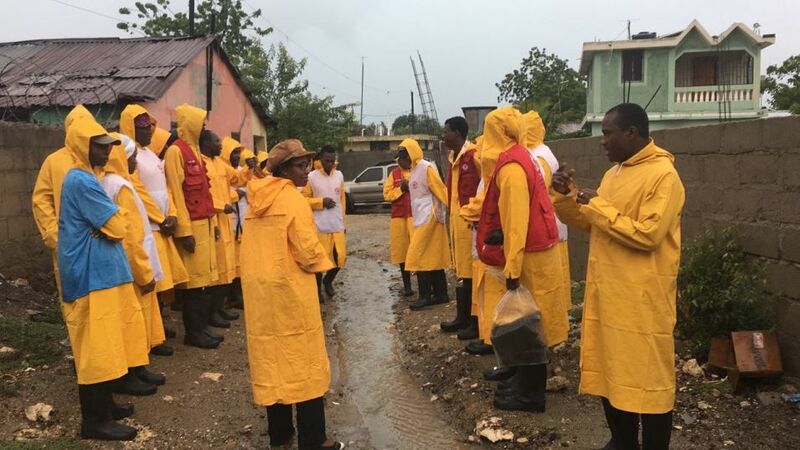 In Haiti, the Climate Centre supported the Haitian Red Cross (HRC) with the roll-out of pilot projects of the Y-Adapt programme for engagement by young people in action on climate change. 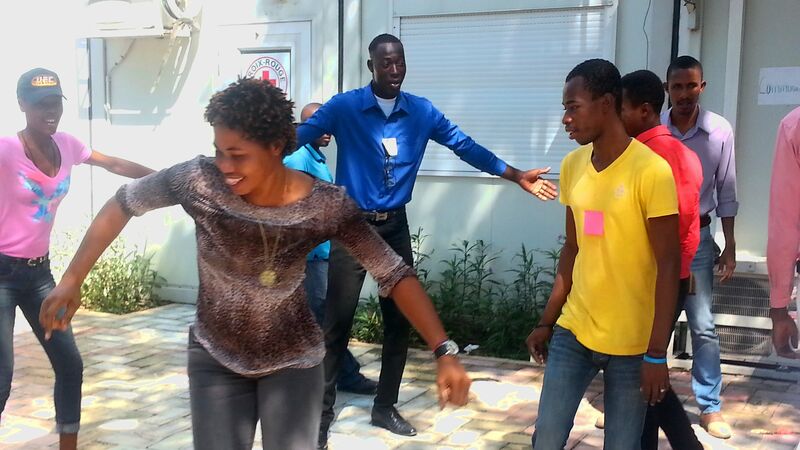 In October a training of trainers took place in the northern city of Cap-Haïtien, and plans are in hand to pilot Y-Adapt across HRC branches. Haiti’s Ministry of Education and PfR country team are exploring how to use Y-Adapt as a tool to help incorporate information on integrated risk management, and Haiti’s own national adaptation plan, into the national curriculum. In several PfR countries Red Cross youth volunteers were trained to convey complex messages in a simple way by, for example, using flash mobs as an advocacy tool to explain how to stay safe during heatwaves in India, where temperatures can reach 50 degrees Celsius in June, or on flood preparedness in Uganda. And in Uganda substantial progress was made with PfR contributing to the climate change bill and national adaptation planning (see below), while the government also committed itself to setting up a fund for early warning early action. After more than four years of FbF pilot projects that generated many lessons, 2017 marked a new way of working to allow early action from ‘impact-based forecasts’. This was at the forefront of development and research, together with a strong focus on evidence-based early action. 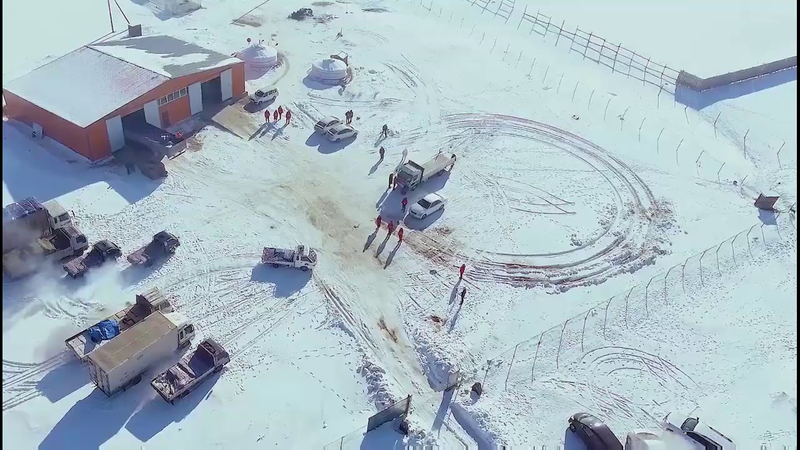 By the end of the year, the first nationwide FbF activation was underway in Mongolia (video), where an impact-based government forecast for extreme-winter conditions was used by the Mongolian Red Cross Society, supported by the British Red Cross, to reach 2,000 families with cash transfers and animal kits to help them preserve their animals. Earlier in the year, the Bangladesh Red Crescent Society, with support from the German Red Cross, activated their FbF system for monsoon floods, reaching more than 1,000 families. An impact analysis demonstrated that investing in cash-transfer programmes in this way can help families to cope with the impacts of flood, and reduce the need to take out high-interest loans or sell valuable household items. 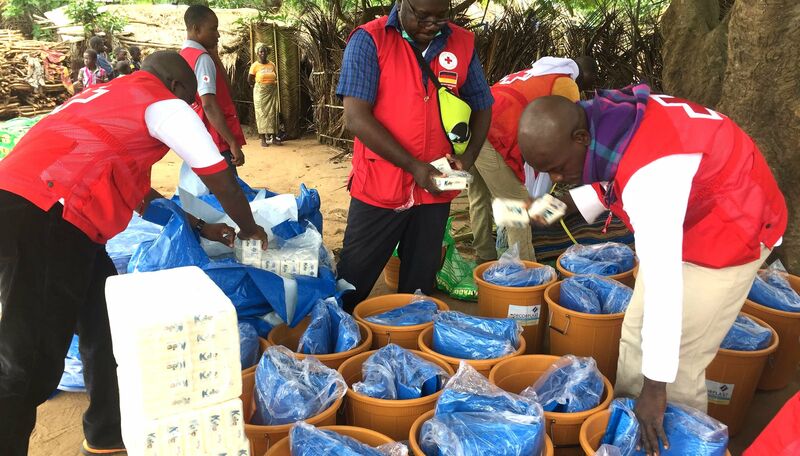 Meanwhile the Togo Red Cross activated their own FbF system for floods twice. At the global level, the Climate Centre continued supporting the engagement of new partners in advocacy and technical support for FbF, including the Belgian, Danish, Finnish and French Red Cross. 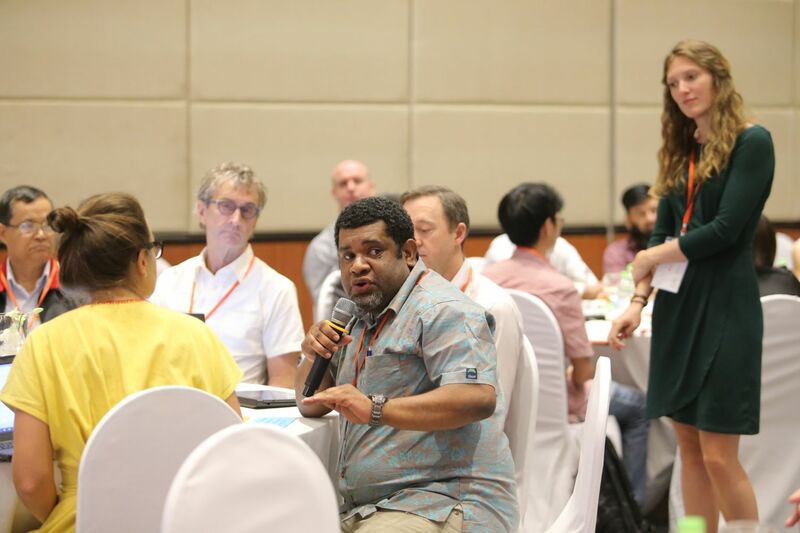 The Malawi, Philippines and Solomon Islands Red Cross led dialogues at national level with their governments for the design of FbF systems for droughts, floods and storms. The German government continued to be at the fore of advocacy for investment in FbF, especially at the first FbF dialogue platform in Asia hosted by the Vietnam Red Cross in June, and in October in Berlin, when Germany also announced support for the first FbF window under the IFRC’s Disaster Relief Emergency Fund. Rolled out in May 2018, this window focuses on funding of early actions that are elaborated in a protocol submitted by a National Society, including positioning of relief stocks. 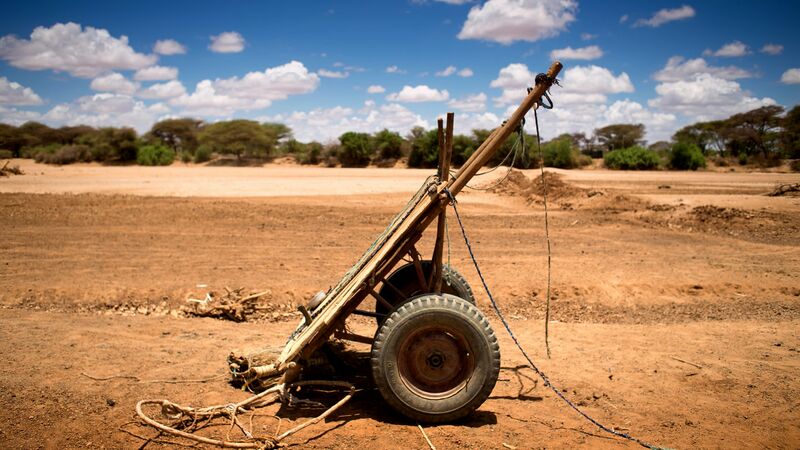 In the academic arena, the UK’s Department for International Development (DFID) funded two projects – ‘Towards Forecast-based Preparedness Action’ and ‘Forecasts for Anticipatory Humanitarian Action’ – generating case studies on FbF in Mozambique and Uganda, and Kenya’s system for drought warning. The Climate Centre’s work to understand and communicate how climate change is (or isn’t) affecting risks associated with extreme-weather events hit its stride in 2017 with eight studies of extreme heat, cold, rainfall and drought. One of the highlights of the year’s work on attribution came when climate scientists – after a three-day conference in Nairobi – issued a detailed study of the Kenyan drought. Covered widely in local media, it said there was a detectable climate signal in the atmospheric temperatures behind the drought but no strong influence of climate change on rainfall. The conference brought together scientists, policy-makers and practitioners who have been working on extreme-event attribution in India, Ethiopia and Kenya. The conference highlighted the importance of communication, even when no climate change signal is detected, and also emphasizing the role that vulnerability and exposure plays in determining the impact of an extreme event. Following one of the most destructive hurricane seasons in the past ten years, the World Weather Attribution (WWA) partnership also found that rainfall associated with Hurricane Harvey in Houston, Texas was made roughly three times more likely due to climate change. The partnership highlighted how population growth, urban growth, and ageing water-management infrastructure exacerbated the impacts of this storm. The resulting paper was selected as a highlight of 2017 by the journal Environmental Research Letters. A study of drought in Somalia did not show that climate change influenced the probability of the event, but La Niña increased the likelihood of reduced rainfall and explained about a third of the rainfall deficits. Maarten van Aalst commented: “While we cannot blame climate change for this drought, the study points out that the high natural variability of rainfall in Somalia could mask underlying trends. 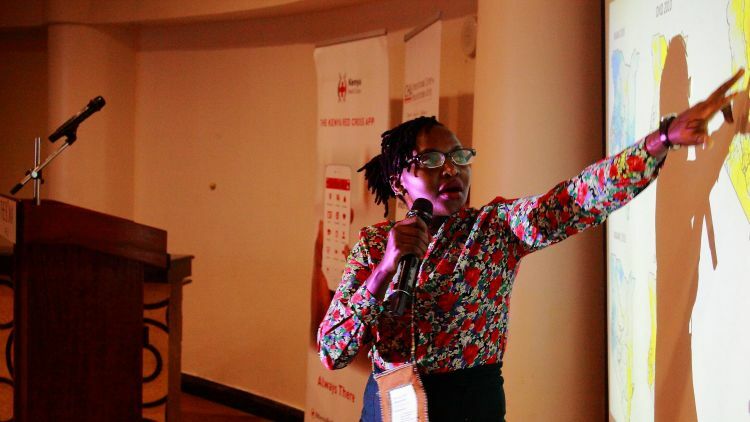 At the BRACED annual learning event in Entebbe, Uganda we heard a multitude of inspiring stories of building resilience on the ground in Africa and Asia. Partners from 13 programme countries shared their successes and challenges through a learning marketplace, a film festival and a range of interactive sessions. Their experiences show that it is possible to help the most vulnerable people stand up to the growing pressures they face, but that these changes take time. Twenty-six webinars and discussion forums were offered to BRACED partners and the public, reaching more than 1,200 people. We explored topics such as sharing climate information on mobile phones and reflected on the drought in Africa. 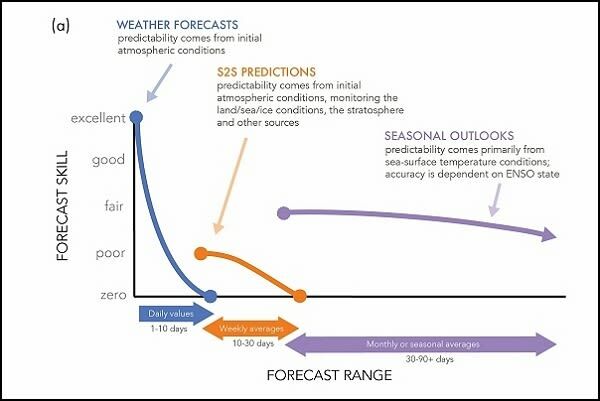 We assessed the climate-related drivers of the drought, which included La Niña, and the Indian Ocean Dipole, and drew lessons from forecasts and actions taken. Humanitarian and development actors, donors and forecasters indicated that lessons from previous droughts had resulted in improved and earlier coordination for response, and more flexible financing to respond to immediate needs. BRACED piloted a collaboration grant with seed funding to encourage learning across different partner organizations, supporting three initiatives that link seven NGO consortiums, including the production of a documentary for national television in Mali. For a significant number of people in developing countries, their assets, livelihoods, and their very lives are intrinsically linked to weather and climate. The Climate Centre’s work on social protection aims to help them manage risk in the short term and reduce poverty, especially by making better use of climate information. In the Sahel last year, in collaboration with the World Bank, we supported the Mali and Niger Red Cross and other stakeholders in exploring ways to link social protection to early action. 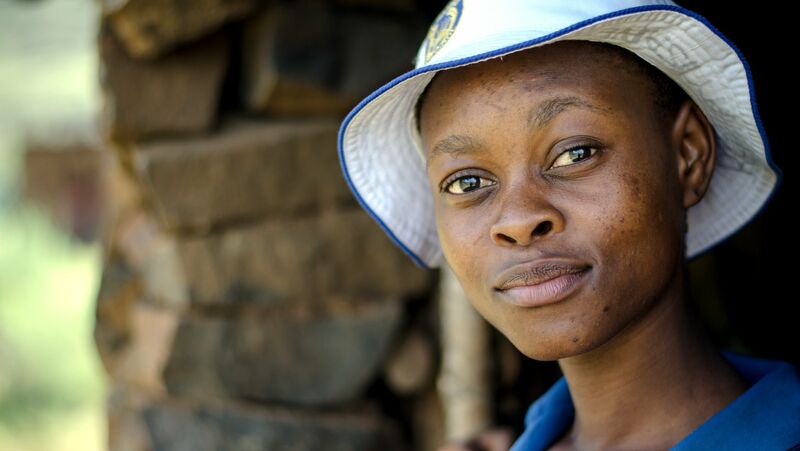 In Malawi, we supported the government’s efforts to make social protection sensitive to shocks by supporting an analysis of the country’s social protection system, now a national priority reflected in strategies covering development, resilience and emergencies. 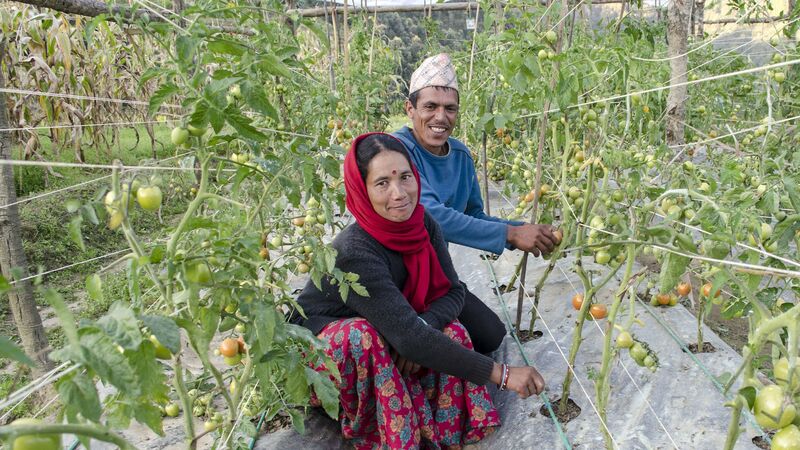 We supported policy-makers’ understanding of links between social protection and climate risk management, including forecast-based action, as part of our BRACED engagement. In collaboration with the UN Food and Agriculture Organization (FAO) we created a game (see below) on bringing a resilience lens to social protection and humanitarian aid. We expanded our networks and collaborated with National Societies and other partners, including risk financing and insurance concerns. The Danish Red Cross-supported NAP project ended with a final evaluation highlighting successes with the Armenian, Georgian, Kenyan, Malawian and Nepalese Red Cross in strengthening their capacity to conduct humanitarian diplomacy on climate. 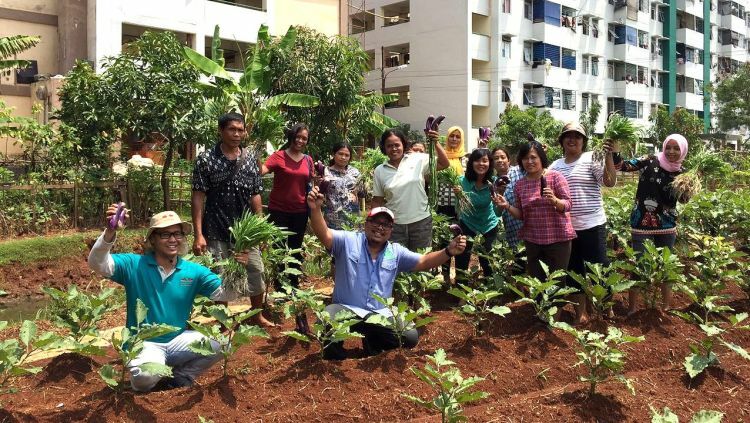 The project’s steering committee produced communications materials on adaptation planning and ensuring the needs of the most vulnerable are included in national priorities, while our NAP training module has also been updated and posted online. The experience of the NAP project has been incorporated into other programmes such as PfR, especially in Uganda and South Sudan, and it’s also helped guide research on cities in Southern Africa. 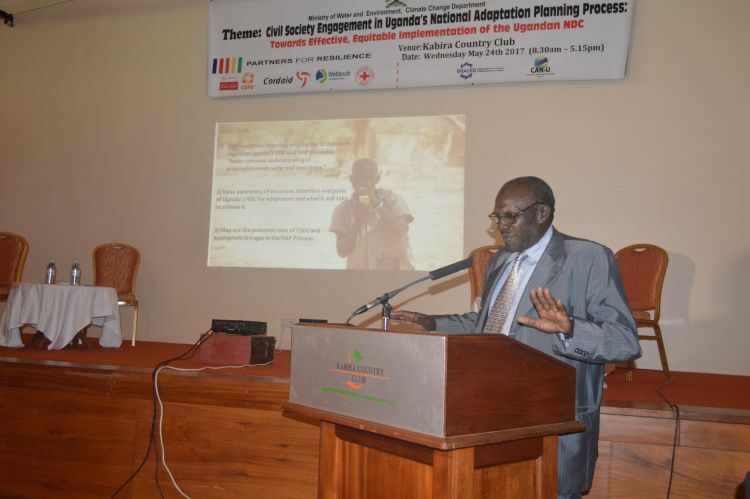 The Climate Centre also presented in a regional ‘NAP Expo’ alongside the CBA11 conference in Kampala on the role of civil society partners, and a similarly themed workshop hosted by PfR in Uganda which attracted nearly 60 people, including ministers and senior officials. The year 2017 offered valuable opportunities for the Climate Centre’s work linking science, policy and practice, including consolidation of recent innovations such as our collaboration with the hydropower sector. In May 2017, the Climate Centre convened a two-day workshop on managing flood risk at the World Hydropower Congress in Addis Ababa, being held for the first time in Africa. We consolidated other work on climate risks with hydropower, and with support from the Global Facility for Disaster Reduction and Recovery (GFDRR) laid foundations for scaling up FbF downstream from dams worldwide. With the German Red Cross and other partners, the Climate Centre contributed to the development of FUNES, a self-learning algorithm for forecasting floods that links early warnings with financing; it was tested during the 2016 floods downstream from Togo’s Nangbeto dam. 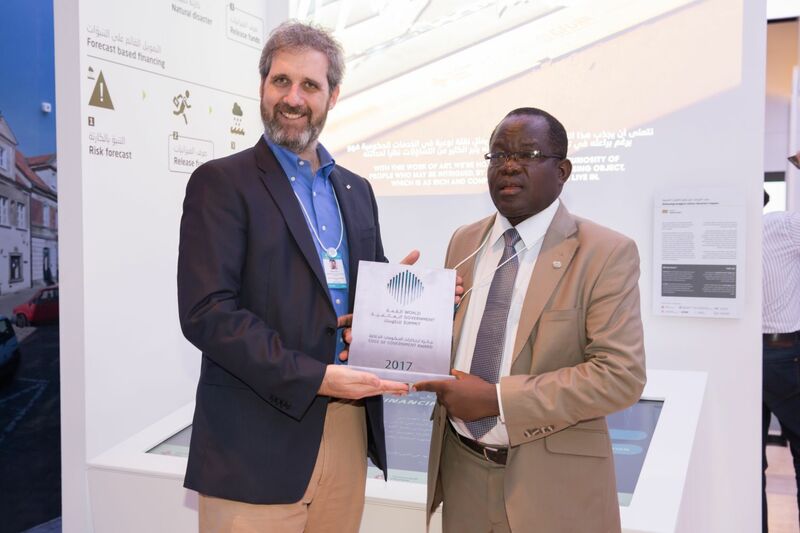 In February the Togo project received a Global Innovation Award at the World Government Summit in the UAE. Last year, we believe, our input helped streamline Togolese Red Cross community preparedness triggered in September, with dam operators communicating frequently with humanitarian and government colleagues. With George Washington University, GFDRR and other partners we have set up online mapping tools to identify structures likely to be flooded by dam discharges. Our virtual reality experiences, meanwhile, continue to be featured at global events and are used by partners including the German Red Cross and the World Bank, as well as in as article in the Australian Journal of Emergency Management describing VR on FbF in Togo and Arctic sea ice. In collaboration with young Red Cross volunteers from the Pacific and artists, we created a VR experience blending words and satellite imagery that was presented at the Statutory Meetings in Antalya, Turkey, as well as at COP 23. At the cutting edge of technology, we explored augmented reality for visualizing climate-risk data, developed in collaboration with the design team at VISYON. A Year Without Your Seasons is a promising new dialogue about changing climate risks: an interactive format that begins with personal stories of how, for example, milder winters are leading to the loss of cultural identity in some places. Our contributions on geoengineering included a journal article and a new game shared at the Climate Engineering Conference in Berlin. We are collaborating with University College London to assess the opportunities and challenges of machine learning for climate risks, and supporting the IFRC innovation team on humanitarian finance. The great newcomer last year was the use of flash mobs to draw attention to important humanitarian issues. 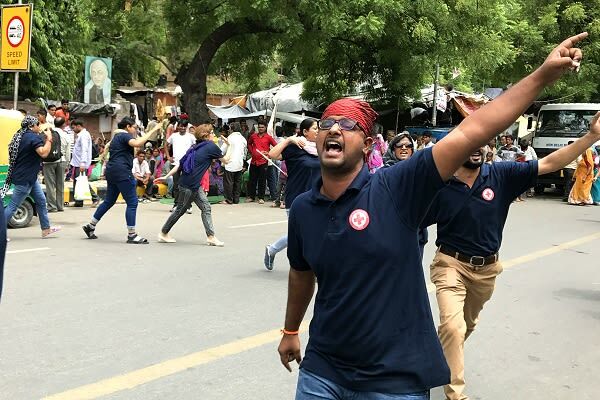 As temperatures hit 43 degrees Celsius in Delhi, a unique five-day training experience showed young Red Cross volunteers and staff how to stage flash mobs for heatwave awareness – much more effective than traditional leaflets, was the verdict afterwards. The Climate Centre’s work on games continues to grow and our resources are now easily available on our updated games page. We have created new games, infused learning and dialogue processes with existing games, and spent time reviewing the effectiveness of these methods. Examples include Master that Disaster, developed for FAO, that lets players experience how climate-sensitive social protection works; A Buzz about Dengue was developed to create awareness about the causes and consequences of dengue fever; Piloting the Perils was developed for NASA to highlight the role of earth observations in assessing disaster risk. Flash mobs, games and other tools supported learning and dialogue around the world. Research for the project ‘Adaptation at Scale in Semi-Arid Regions’ has included our approaches; French Red Cross regional training in the Indian Ocean includes games; and interactive sessions including poetry contributed to promoting key messages at D&C Days. The year also saw a marked increase in youth engagement. Together with the Philippines Red Cross, Plan International and the Engagement Lab, we have completed the participatory design of Y-Adapt – a games-based curriculum for young people now underway in Haiti, Indonesia and the Philippines. We continued with our Taste the Change programme, including a session on the future of protein at the Council of Delegates in Antalya, Turkey, while an evaluation of the effectiveness of the 2016 Handwashing with Ananse exercise in Ghana showed positive impacts. 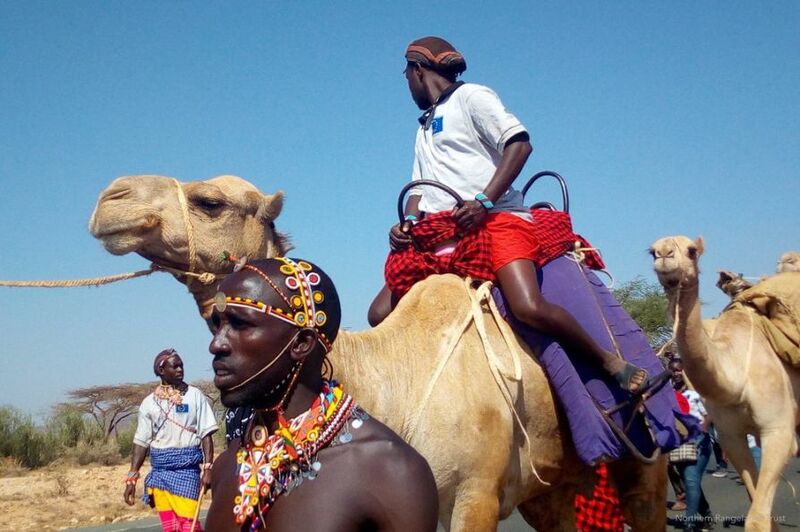 One of the most exciting developments in a productive year in Climate Centre communications was a field trip to the PfR project areas in Kenya to use drone filming to highlight the severity of the drought there. The Climate Centre crew later flew down to Malindi to visit and film an irrigation project supported by the Austrian and Finnish Red Cross. Our social-media audience grew apace in 2017 and continues to grow, and we now (mid-2018) have nearly 4,000 followers on Twitter. The Climate Centre generated nearly three web stories a week (132 in total) on average in 2017 – original material about our programmes, cross-postings of IFRC stories, and reports on non-Movement activity. In his media engagement, Director Maarten van Aalst continued to be a very effective spokesperson for the Climate Centre, and in some contexts, like COP 23 and the Nairobi risk conference, the Red Cross Red Crescent Movement as a whole. His direct media engagement included several interviews with The Economist as well as The Conversation news site, Associated Press, Thomson Reuters Foundation, OneWorld magazine, Scientific American, and Netherlands media outlets. He also spoke at Leiden University at an event to mark the 50th wedding anniversary of Prinses Margriet, one of the founders of the Climate Centre. As part of our newly increased, and arguably timely, collaboration with the ICRC, the International Committee will now join our board as an observer, and planned round-tables on climate and conflict will focus on ordinary people’s lived experience and how best to deploy climate finance. The ICRC joined the 2017 D&C Days for a session on climate and conflict; and a session on the theme was also held at CBA11 in Kampala where an ICRC colleague shared personal experiences from Somalia. 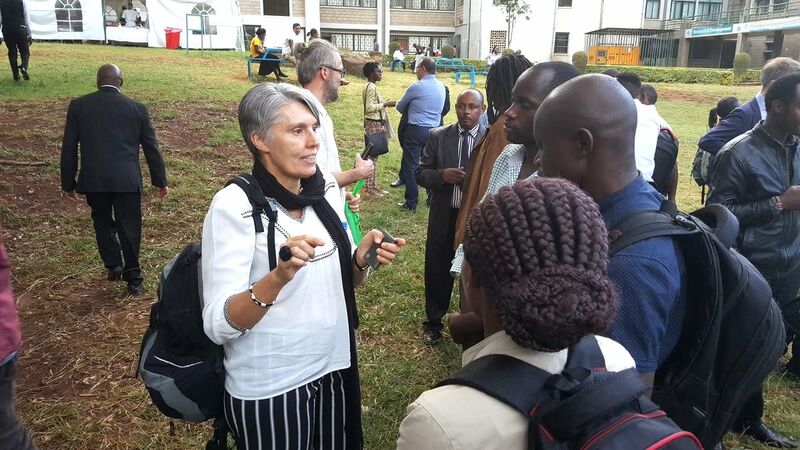 Climate Centre staff provided technical inputs at ICRC workshops in Nairobi. Collaboration with the ICRC’s Economic Security Unit will also now grow, with Climate Centre participation in its annual workshop and joint development of a case study highlighting the ICRC’s approach to climate risk management. The Climate Centre has prioritized urban resilience as an emerging theme with a special focus on Asia and Africa, where the most urban growth is expected. Our aim is to promote inclusive, climate-sensitive urban planning, connecting cities to global processes and strengthening National Societies’ urban portfolio. Through the Future Resilience for African Cities and Lands programme we continue to facilitate dialogue between scientists and urban actors using learning labs: last year Lusaka and Windhoek held their second lab, while Lusaka hosted a high-level breakfast for policy-makers. In other developments: a specialist task force for FbF in urban settings was launched at the dialogue platform in Berlin bringing together Movement and other actors; we are partnering with city officials, disaster managers, public health experts and meteorologists on a guide to heatwaves in cities; and we worked on the annual meeting in Oslo of the IFRC’s Urban Collaboration Platform. The Climate Centre – an independent foundation under Dutch law – remains grateful to its hosts, the Netherlands Red Cross in The Hague, who continue to provide support with human resources and legal affairs. We are grateful to the New Zealand Red Cross with whom we have shared staff for climate risk management in the Pacific, and to the American Red Cross who we also share staff with. Other contributors were the WMO, CDKN, FAO, UTC, ODI, WFP, the Natural Environment Research Council, the World Bank, and the European Commission. The positive balance from 2017 has gone to our mission reserve. More detailed information can be found in our Annual Report 2017. As always we thank our supporters for their generosity and collaboration.